The term radiculopathy can be confusing, but essentially what it refers to is pain, numbness or motor weakness resulting from a pinched nerve. This may be in the neck area or coming from the low back, but when it occurs in the low back it is usually referred to as sciatica. When a disc herniation occurs, typically what happens is degeneration is experienced and a tear occurs in the outer part of the disc. Some of the inner part squeezes out, and it may pinch on one of the nearby nerve roots that are coming off of the spinal cord. This causes inflammation to occur and that is when pain and/or numbness travels down the nerve root being pinched. This is what is known as radiculopathy. The symptoms of radiculopathy are not consistent from one patient to another. One person may experience significant burning and searing pain where that nerve root provides sensation. For instance, if the disc herniation pushes on the C7 nerve root, an individual may have pain that goes through the shoulder down the arm and into the back of the hand. In addition, an individual with radiculopathy may experience some numbness or a pins and needles sensation in the same areas. The third problem along with the pain and numbness that may be experienced can be motor weakness. When radiculopathy causes motor weakness, usually the weakness is seen in the muscle(s) supplied by that nerve root. In the case of the C7 nerve root, this is usually weakness with extension of the wrist. Treatment for radiculopathy is usually nonoperative. 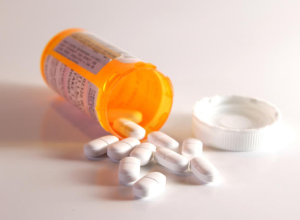 Over-the-counter pain medication such as NSAIDs and acetaminophen may help, and in some instances short-term narcotic medication along with muscle relaxers may be necessary. Radiculopathy can also cause significant muscle spasms. Treatment with physical therapy or chiropractic manipulations may help as well along with a new revolutionary treatment called spinal decompression therapy. 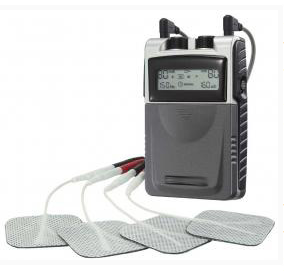 Electrical stimulation and a TENS unit may relieve pain from radiculopathy, and acupuncture has shown significant benefit for the pain. One of the mainstays of radiculopathy treatment in Pain Management are epidural steroid injections. This consists of soothing cortisone medication being placed around the area where the nerve root is being pinched and relieving the inflammation and associated pain. It should be noted that steroid injections do not fix the problem of the disc herniation, rather, they provide excellent Pain Relief until the body itself can disintegrate the piece of disc that is pushing on the nerve root. 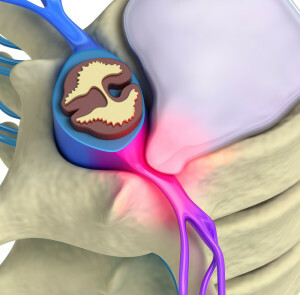 If a person has spinal stenosis with compression of multiple nerve roots, it may be necessary to have several epidural injections at the compressed levels. If an individual fails over six to eight weeks of conservative treatment, then surgery may be indicated to take away the compression. In addition, if a person is having significant motor deficits such as a foot drop, then surgery should be considered after six or eight weeks to prevent that deficit from becoming permanent. Over 90% of the time, Pain Relief can be achieved without surgery. 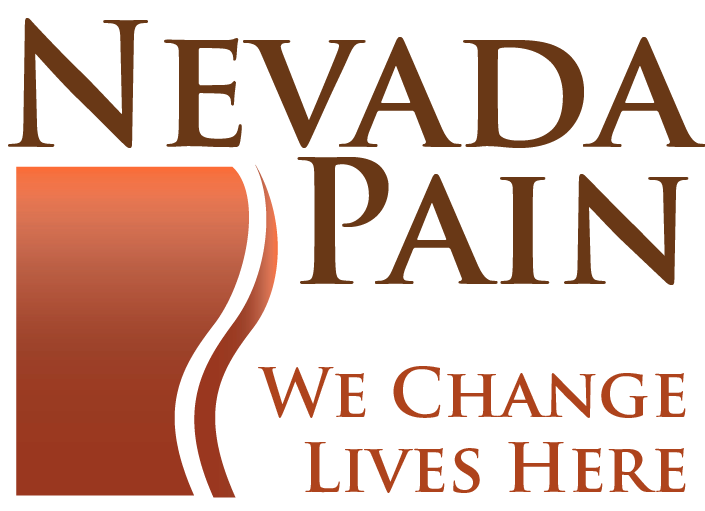 If you or a loved one is experiencing the burning pain, numbness or motor weakness of radiculopathy or sciatica, call the Nevada Pain Network today at (702) 323-0553. We will connect you with a premier Henderson or Las Vegas Pain Clinic in the Network, and get you some relief today!